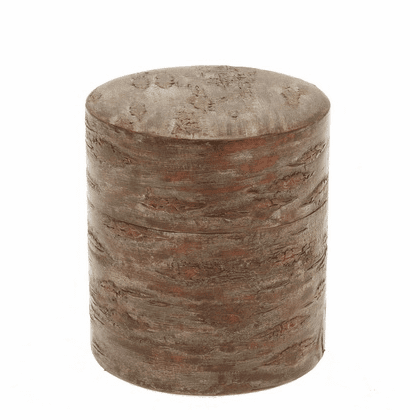 Natural finish cherry wood tea canister. This tea canister has a cherrywood veneer. Made of bark from cherry trees placed over metal canister. Has an extra inner lid to keep tea fresh. 3-5/8 inches tall, 3-1/4 inches in diameter. Holds 120 grams (4.23 ounces).